Masses of delicious, marzipan-scented, rosy-purple flowers fading to white at the base of the petals from July to September. 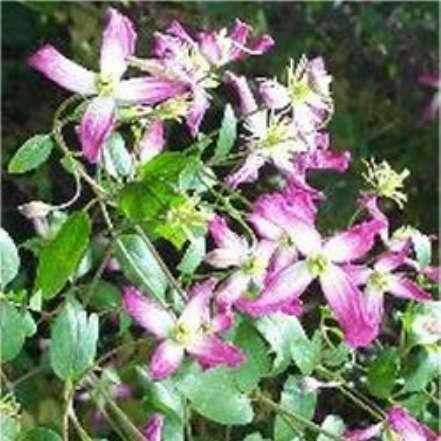 This vigorous, late flowering clematis looks lovely scrambling over a garden wall, pergola or arch in full sun or partial shade. Plant near entrances or paths, where the fragrance can be appreciated. Supplied in approx 2-3litre containers.